Our Huntington Beach roofing company also offers inspection services that comply with the rules and regulations of real estate and insurance companies. Our roof contractors have extensive knowledge about roofing and can provide the inspection for buying and selling transactions. Century Roofing has experienced roofing inspectors to perform these services. 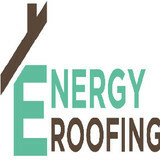 Energy Roofing is your full-service roofer for re-roofing, repairs, maintenance, and other commercial & residential needs offering services around Los Angeles. At Apex Roofing, we pride ourselves in quality craftsmanship at competitive prices. We have been servicing the Southern California area for over 30 years. We stay true to professional standards with a family owned and operated business. The Apex motto is to keep you dry through the winter and your roof looking great through the summer. Our roofing materials are quality products and our technicians have years of experience, thus, making them an integral part of our success. DBR Culver City Roofing was formed in the 1980s when two friends decided to take things into their own hands. Ever since its formation, DBR Culver City Roofing Contractors has been growing into a family of professionals. Our experienced roofers mentor the young and energetic so that you, our client, can have the best service and a sustainable roof. Beach Cities Roofing is your leading roofing contractor with over 20 years of experience. We service all of the South Orange County area. Call us today for more information - we look forward to serving you! 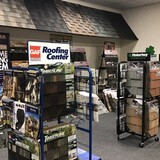 Charles Johnson Roofing, Inc. we are well respected and trusted company with over 30 years of experience in the roofing trade. 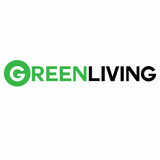 We are proud of our business, and our personal approach in dealing with builders and homeowners. For our company it really is true that there is no job too big or too small, as we provide every job our full attention. DBR Group Roofing Los Angeles contractors have years of experience. Our contractors provide quality roofing to our residential as well as commercial clients. We provide a free estimate and you will find us to be competitively priced. We look forward to working with you! Roof Integrity is a roofing contractor based in Marina Del Rey, California, that installs custom residential and commercial roofs on the westside and throughout the greater Los Angeles area. We specialize in new construction, re-roofing and repairs. 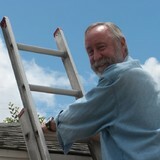 Our roofers complete the entire roofing job including the fabrication and installation of rain gutters and sheet metal. We are a full service, fully licensed and insured roofing contractor with over 25 years of experience installing roofs in the Los Angeles area. We offer 24 hour emergency roofing services and roof repairs. Our experienced crews are highly trained to serve you with integrity.